Penzance is famous for it’s pirates and I always look out for them on my tours! In 1595 the nearby village of Mousehole and the church at Paul village were burned to the ground by the Spanish. It’s true that the Cornish often had to fend for themselves, they were even vulnerable to being enslaved by coastal raiders. There are stories of Cornish shipwrecking and piracy, but Cornish people will tell you that there have never been any convictions for deliberate shipwrecking. 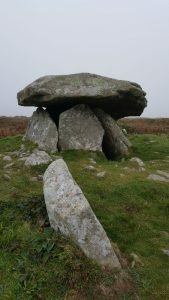 What is in the Far West of Cornwall? So, the Far West is at the very extreme end of Cornwall. It includes the delightful and quite different towns of Penzance and St Ives. My tour takes you around the area between them and can include a stop at each town. But, there is a lot more to see in the area and we are spoiled for choice. There are numerous ancient monuments and dramatic ruined tin-mines perched on the amazing rugged coastline. A bit like Bodmin Moor, an area that was exploited in the industrial age, the land has somehow healed over and now looks romantic. Appearances can be deceptive and the conditions that the men women and children faced in the mines were harsh and dangerous. The last mines closed in the 1980’s, but there are several mining museums to explore. The archaeology that has survived is stunning and plentiful. It makes me wonder how many other monuments and settlements existed during and around the Bronze Age times. There are some monuments that are very easy to access and others that require 10 to 30 minutes to walk to. There are pretty churches, lovely pubs and villages. The Far West has everything. 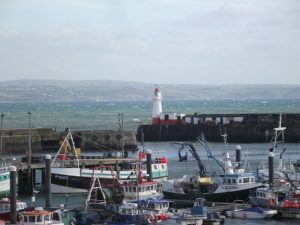 Penzance has some very nice independent shops, art galleries, good cafes and pubs. 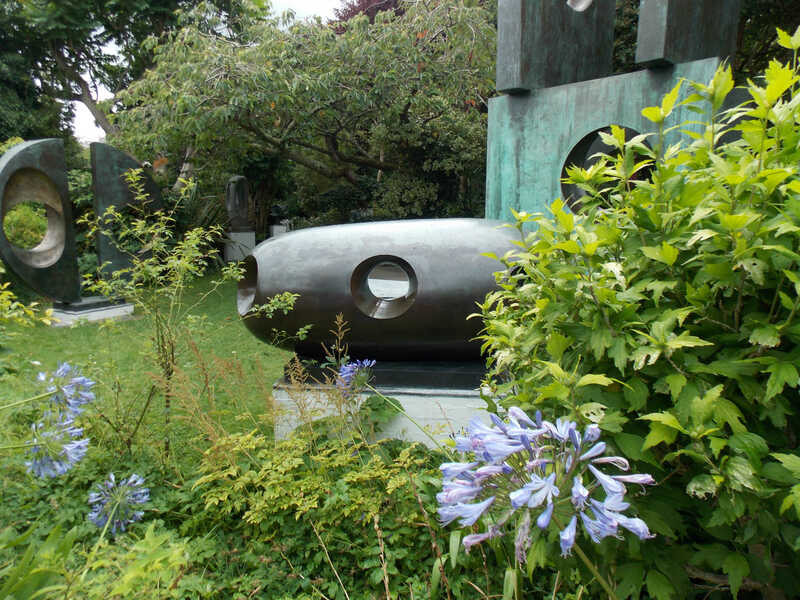 It’s also home to the Penlee Art Gallery. The gallery is small and has some really good exhibitions, just enough to see, not to be too exhausting.The town had a tough financial time a few years ago. I’m pleased to say it’s now a lovely place to visit and shop. This tour is very flexible, but I do have a favourite route. I like to stop at Marazion, just before we reach Penzance. Marazion means ‘market town’ in Cornish. Marazion has the one of the best views in Cornwall, St Michael’s Mount. 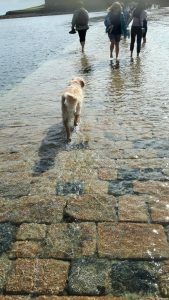 You may wish to cross over to the ‘island’ on foot, or by boat, depending upon the tide. But I don’t usually recommend visiting the inside of the house. There is a lot more to see on our tour and time and tide wait for no man. 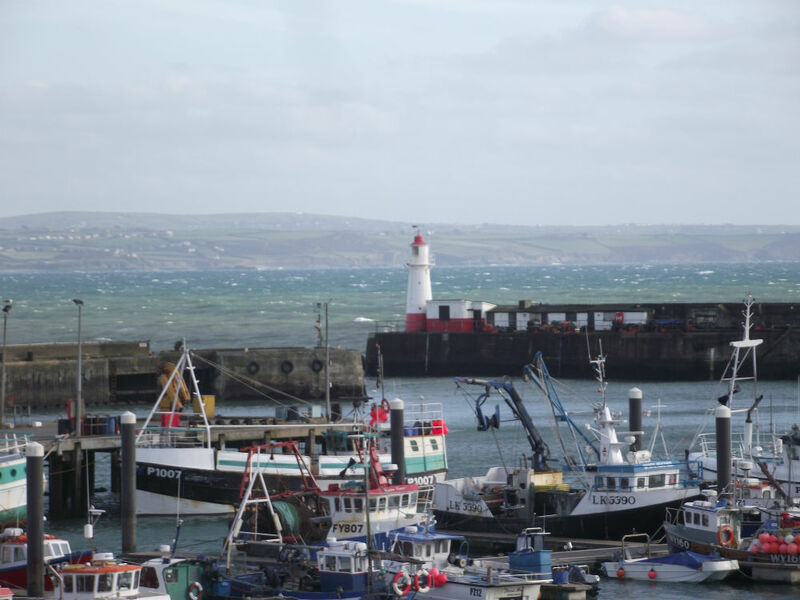 We usually drive the coastal route through Penzance, Newlyn, Mousehole and Paul. Then there is a choice of archaeology, stone circles, ancient settlements, burial chambers. I have my favourites to show you. The Minack theater is another possible stop. Not only the most spectacular location, but with a back story of one lady’s determination to achieve her dream. You couldn’t make it up. I like to stop in St Just, a little town with a church, pubs and pasties. The tea-kiosk run by Stacey, at Cape Cornwall is pretty good too and in the right conditions there are stunning views across to the Isles of Scilly. The best view I’ve had so far was a small miracle in December 2017, when the cloud cleared for a few minutes and they were clear as day. It’s important to see some mining history too. 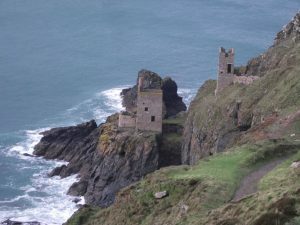 The locations of the tin-mines along the coast are breathtaking. You may recognize some of the buildings and locations used in Poldark filming. Then it’s good to take the coast road around to St Ives and head for home. St Ives is very lovely and this makes it really popular. Sometimes it is very busy indeed and parking is limited. There are shops selling beautiful locally made art and jewelry. It’s an arty kind of place due to the very special light. The fisherman still work out of the harbour but there are pleasure trips for visitors too. The Tate St Ives is here and the Barbara Hepworth Sculpture museum is also located in the town. 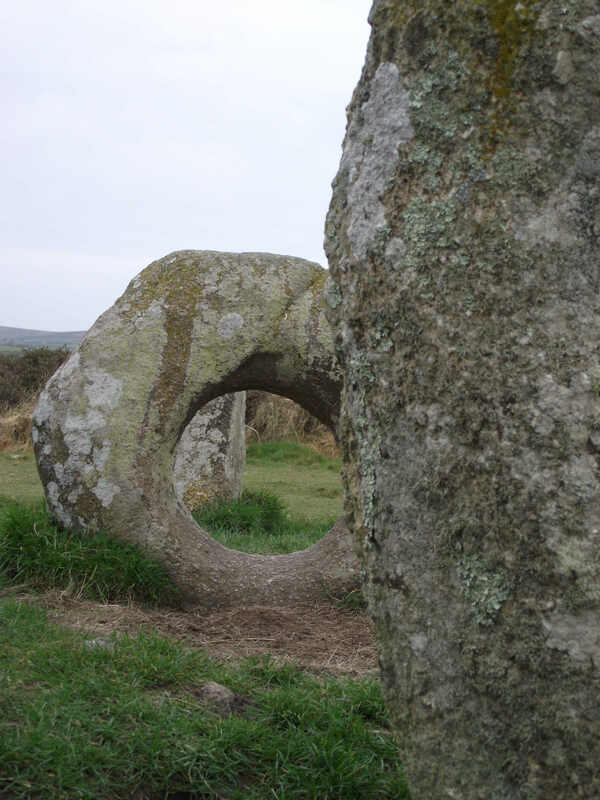 I love her sculptures, which reflect the natural landscape and prehistoric monuments. It makes me very happy to take people here. The minimum tour cost is £280. Please contact me for more information.